I decided this week to keep up my Outside My Comfort Zone post with Yours Clothings 'Onesie Wednesday'. I know that Onesies are a bit of a marmite situation, but I have to say I love them! 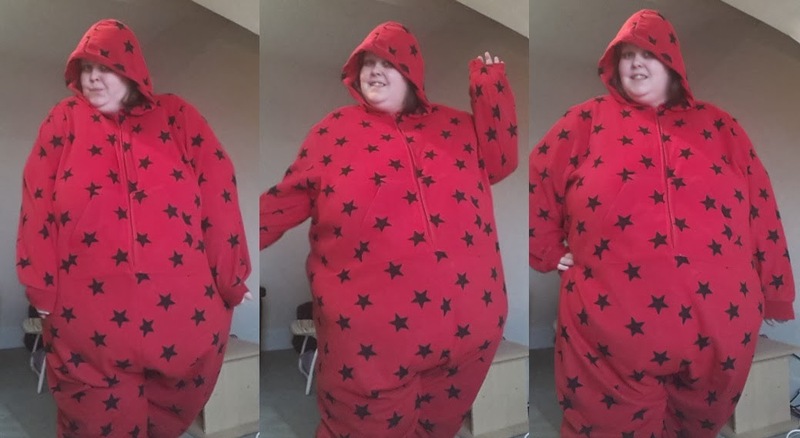 Yours Clothing kindly sent me this onesie to review, because it is a feature in their new range which goes up to a size 36. 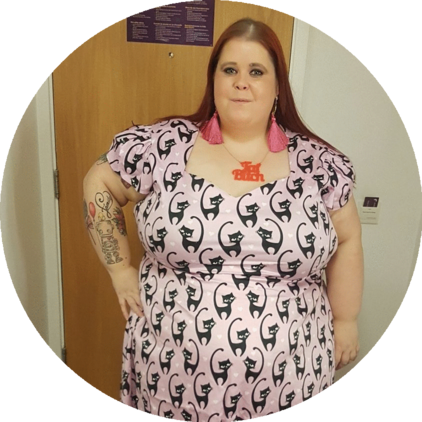 I remember two years ago being over the moon because I found one website which had one onesie available in my size - now I have so much choice for my size and places like Yours Clothing going even bigger and for me it is amazing! I love this onesie simply because it is comfy and cosy... its made of a lovely fleecy material which keeps me nice and toasty even on cold days. I have to say that when it comes to casual at home, I love nothing more than being in a onesie or a pair of pyjamas. 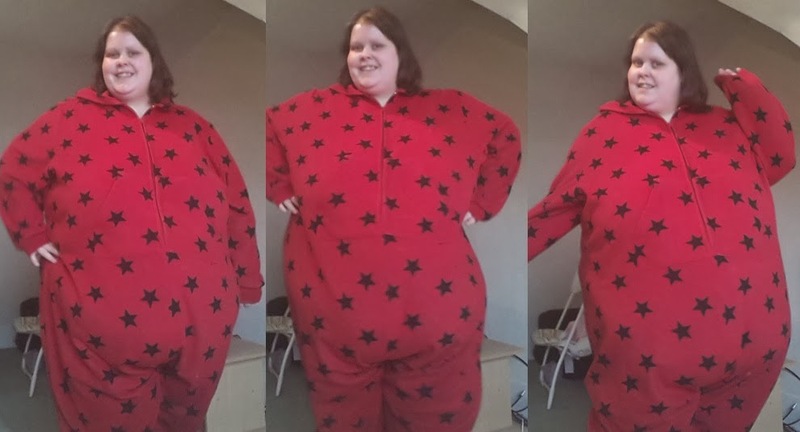 The sizing of the onesie is great, it's long on me (but I am very short) so if you're a bit taller then go for it! I love the hood because it makes me feel all cosy and lovely. Yours Clothing do a range of clothing and nightwear up to a size 36. I can vouch for this item http://www.yoursclothing.co.uk/P/Pink_Scruffy_Pooch_Frill_Sleeve_Placement_Print_PJ_Set-(20185).aspx because they kindly sent me the pyjamas. Unfortunately I wore them ALL over Christmas and left them at home at my mums house 400 miles away so there is no photos of me in them - bad blogger! They're really comfortable and well made though, so definite worth a look! Yours Clothing were kind enough to feature my photo on their Facebook page yesterday, and it now has over 300 comments of debate on how good (or not!) I look in the onesie... I'd love to know what you think of this type of casual wear?